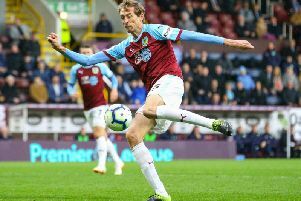 For Burnley fans, one of the pleasures of the club being in the Premier League, alongside supporting the Clarets battle for points in the best league in the world, is the chance to see world class talent, up close on the Turf. True lovers of the game know there is a huge difference between watching the stars of the Premier League on television and witnessing their displays in the flesh. You can see the full contribution of players, you notice the way they link up with their team-mates in a way that television can never capture. Every year, since 1948, members of the Football Writers Association (FWA) have the opportunity to choose the best of them all, with the annual vote for the Footballer of the Year. Burnley’s only winner was Jimmy Adamson in 1962. It can often be a tough call, but when my voting slip came through this week I had no hesitation in making my choice – Liverpool defender Virgil Van Dijk. Of course, strong cases could be made for several of Manchester City’s team, defending champions and currently top of the league. Sergio Aguero continues to score goals at an incredible rate and is one of the best finishers the league has ever seen. Raheem Sterling has become a key part of the City attack and improved into a player of consistent quality and the inventive and tireless Bernardo Silva has been instrumental to Pep Guardiola’s side this season. But, as they showed without all three of those players in their win against Cardiff on Wednesday, those players can be replaced and Pep Guardiola has unmatchable options in his squad. Van Dijk, on the other hand, truly is irreplaceable. Since joining from Southampton last January, the towering Dutchman has transformed Liverpool from highly entertaining outsiders into genuine contenders for titles at home and in Europe. 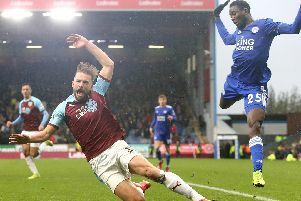 He masters every defensive skill, powerful in the air (as he showed so effectively against the Clarets), strong and timely in the tackle and effective in distribution. He organises the entire back-line and is also a threat at set-pieces. After Liverpool failed to sign him in the summer of 2017, many pundits criticised Jurgen Klopp for not having a ‘Plan B’ and signing another centre-half. But the German waited until the January window and made sure he got the man he really wanted, spending £75 million to bring Van Dijk to Anfield. And now we can see why. Until that signing, you always felt Liverpool were vulnerable at the back, Joel Matip and Dejan Lovren never looked like a title-winning central defensive pairing. Defenders rarely win the individual prizes. The last defensive player to claim the FWA prize was, another Liverpool player, Steve Nicol back in 1989. But Van Dijk deserves to join the likes of Bobby Moore and Billy Wright in the small club of centre-halves to win this prestigious award. The question is whether he will do so as a Premier League title winner?